This month is technique month. I was looking through my Pinterest boards for things I pinned and wanted to try this black matte mani with top coated French tips that Chloe's Nails did. I see this pinned all the time. I decided to pull out one of my old favorites for a different twist. 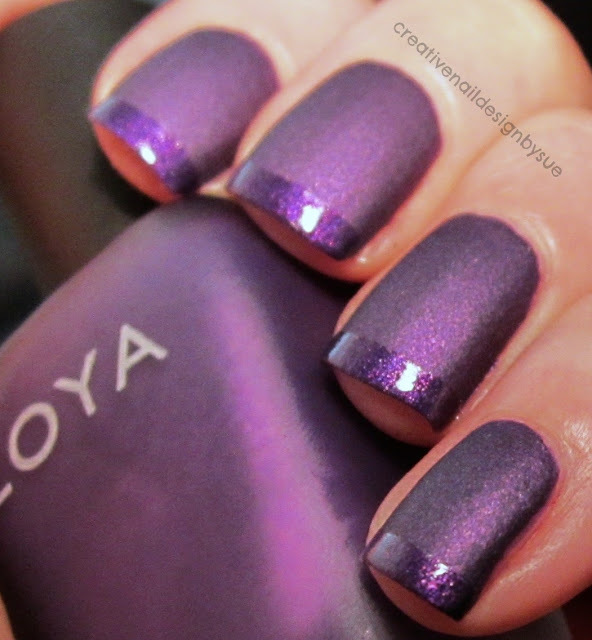 This is Zoya Savita with Seche Vite on the tips. Gorgeous!!!! precision - i can never get a straight line!